I started my research on innersong while becoming conscious of a difference between what I heard about my performance, and how I was actually performing. You remind me of a technique I use: I record myself playing, and then sit back and listen, and I oftentimes say: “that’s not very good.” Whereas when I was playing, I thought that it was very good. Why this gap between the two realities of sound? The subjective and the objective? There is always a difference between the inner and the outer, a separation between us and the outer world. When you externalize yourself in music, you are creating something in the outer world. So it goes out there and it comes back to you, but it still comes from out there and not from in here. So how do you work on the unity between the two? Do you improvise with your instrument? I really don’t improvise. I consider myself a humble student of the Scottish bagpiping tradition, which extended into Ireland and Brittany, but I seek to play top-quality traditional music without putting my own ego stamp on it… At school, we encourage students to play the Scottish repertoire correctly, but behind it all, there’s a competition system that reinforces this approach. But there are very few pipers who improvise. I used to represent a band from Toronto called “Rare Air,” that basically in the late 70’s was one of the first bands to use the pipes with rock music, and they spent time in Brittany, serious time, and sought out the best musicians they could, and came back playing a lot of music, but they were unique. Other groups have followed their path-breaking foray into musical culture, but they too fell into this way of improvisation, they went into the field of jazz and they lost their traditional audience, following.. And the jazz community never caught onto them. So the band ultimately disintegrated. So what is the specificity of the traditional music? How do you learn it? We learn it by beginning to understand how to play with written music guiding us. However, there must be some kind of oral instruction that goes along with it, because otherwise, people would sound very mechanical and never be able to figure out how to properly do the embellishments and so on. I always stress the importance of having a teacher who teaches students what the proper exercises are to strengthen their weaknesses. For example, we work on a practice chanter, which is a lot quieter than the big pipes, and basically we’re able to pin things down in very fine detail. And we work with the written text. Now, that is probably, in the world of folk music, I would say, it is an extreme case of following the written music. It has a lot to do with Scottish history, the fact that the pipes were banned for a while and the tradition was almost completely severed, and then the attempt to rescue it by the aristocracy in the early 19th Century, and then codifying it and making competition in order to select the best pipers. Including military pipers. At this time, the army became another reinforcing influence of this. In the early 1840s and 50s, it’s the invention of pipe bans. Pipe and drum bans. With 72 pipers and 20 drummers, I mean, they are hug bans. Well they had to be playing everything in unison. What do you start with? You start with the written music. Everyone’s playing the written music. And later, historically, on top of all this, is the Reformation. And the emphasis that many Scots significantly put on the written word. Going back to John Knox and others criticizing the Catholics because they weren’t following the written word of the Bible. But you said that without the written word, it is more mechanical. Could you explain that? Traditional music is music of movement. Usually, they’re dancing or marching.. Then, there is the classical pipe musical which is in a category all its own, and it follows pulses more than beats. But, by and large, the Scottish and the Irish repertoire, except the slow airs, tend to follow, or will follow, a given beat/rhythm/pattern. There are some unusual things going on these days with pipes with young pipers experimenting with all kinds of things that, to my way of thinking, oftentimes just become a jumble of notes. But the good traditional stuff has a steady pulse behind it. So, when we see that first beat of the first bar, we know that it gets a bit of a length, especially on the pipes, because we don’t have the option of the dynamics of volume control. I mean, it’s one volume. We don’t have the staccato ability, so we have to lengthen notes or cut notes much more than other musicians do. And it’s almost become embedded in the Scottish style. Pointed music rather than even 8th notes. So if I understand correctly, most of the time you are playing with dancers. And are they following you, or do you follow them? They are following me! They should be, anyway. So the base is always the rhythm. Keeping the steady beat is number one, yes. Then, doing that with rhythm is number two. [plays] There is a difference between a simple line, and a line with a lot of embellishments. I point the first note. The round way versus the classical way… in the folk tradition, the accent is longer. I sing it first. I lean to hum it and get it within me, and… I’ll look at a piece of music that I haven’t seen before, and I’ll basically sing it to myself by going over the notes. 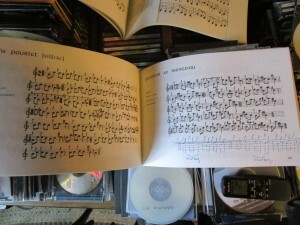 And then, once I feel I have a handle on what is going on in a piece of music, I’ll pick up the chanter and execute it. But why do you sing beforehand? Because I want to get the song within me. Whenever I teach, I teach my students a five step method for memorizing tunes: the first one is to listen to the tune and get the tune inside of you so that you can hum it in some reasonable fashion, so listen to the tune, then hum it or sing it, or diddle it. Then after they can get the song within them, now let’s look at the music and see what new movements you don’t know or haven’t had before that are in the tune, and let’s just make sure that you know how to play them. And then, after that demonstration goes on, then, they do it in the context of the tune, with the phrase of the tune. Instead of just working on [plays], I’ll have them go [plays]. And then, once they have identified those areas which are new to them, then we start working on understanding the structure of the tune. Now, most traditional pipe tunes come in 8 bars, 4 bars per line, 2 bar phrases, and so we first look at the structure of the tune. We basically say, ‘there is an A phrase, and there’s the B phrase, and in the second line, the A phrase reappears, so we’ll call this a C phrase. So the structure is A, B, A, C, and then, that is basically usually true throughout the whole, four-parted tune. Basically, identifying that phrase and then we’ll go through the phrase with the printed music in front of us. And I’m at the third or fourth step right now. Put the music in front of you, play the passage, then, turn away, and using short-term memory, do the passage, look at the music, and see if you did it right. And if you didn’t do it right, do it again, looking at the music. And just go back and forth without interruption to the music itself so that you eliminate any doubt of what the notes are you are trying to play. So you work a lot with memory? Do you have to memorize everything? Because it is better to have the music inside of you? Yes, but also it’s a tradition that bagpipes do not play with the music in front of them, except perhaps in concert with an organ or something like that. Also because you are moving? Yes, that is the big reason. I had an eccentric student from New Mexico who invented a harness that allows you to hook onto the bagpipe, a musical lier [? ], it allows you to play with the music in front of you, but it would never catch on. 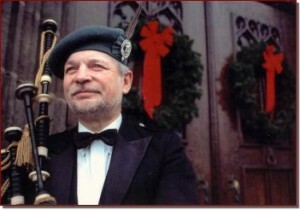 Everybody has to memorize the music, that is involved in learning the bagpipes. Folk musicians don’t use written music. But you learn with the written music anyway. You don’t learn by listening and reproducing. I understand. I interviewed two musicians from Brittany; they would go to the people who know the traditional music, and learn with them one-on-one. They greatly emphasized the fact that one has to encounter people in order to get the music. Right. With video, and skype, and all these technological advances that enable one to feel like he is in the same room as the teacher, through the screen, I don’t think that it is fast enough yet, or powerful enough yet, to make it a one-on-one thing at all. There’s always a delay. But I’ve made a career of bringing over Scottish pipers who won the gold medal in Scotland to teach American students here, from beginner to advanced. I’ve always been a great advocate of getting quality pipers, and I had to go to Scotland to get them. Now, Irish musicians tend to play more by ear. Scottish musicians, for historical reasons and the pointed nature of the music, tend to be focused on the written music first, to get everything right, and then memorize it, and then fashion. The Irish musician, or for example, the text for Irish bagpipes, and also the illen bagpipes, which are on a lot of movie soundtracks. They are more part of the oral tradition. 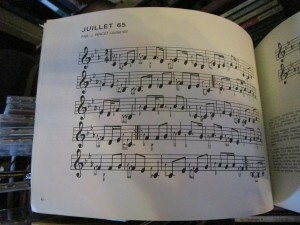 But the written music helps as well to identify the melody notes. In the Irish piping music books, they’ll just put a little mark over a note to indicate that the grace note could be played here, or an embellishment could be played here. But you choose what it is. Whereas in Scottish, all the little grace notes are written out. Again, it is because…the unity, the necessity to play in a pipe band, and that’s creeped over to solo playing as well. So that means that everyone can read the notes. I remember going to a traditional music festival in the south of the Czech Republic, and the musicians were so good, and they couldn’t read the notes. They were playing violin or double bass just by chords, hearing the music. I tried to play with them, but I was unable to do so. So, I have the sense that there are two ways of learning: that found in classical learning, and instinctively. I would say that depends on the piper. Right off the top, my bias is probably on the table now, I would say that with the trained musician, shall we say, ‘paper-trained’ musician, I would think that more precision is possible. Because, again, every little thing is written out. On the other hand, in the oral way, almost definitely in most cases, the flow is better. Keeping the tune alive and expressing it, and always getting that pulse in on the right beat. That is impossible to pick up without some training from the printed music. But, when you are learning by ear, it is the first thing you pick up. You have to. You get the movement of the music. I can imagine, then, that moving also helps. In this sense, the movement is a part of your innermusic, isn’t it? It took me a long time to get that. That movement. I started playing when I was 28 years old, for one thing, I think that was my biggest excuse. It is easier to learn as a child. Do you have any Scottish background in your family? My father was Italian and my mother was Norwegian and Scotts-Irish. If it was not a part of your upbringing, how do you connect with traditional music? How does it come to touch you? For me, it is always interesting, because I am Breton, so the Breton music is a part of me; it goes with my childhood, the love for my homeland, ocean, boulders, and the smell of algae. It is surprising how someone who didn’t grow up within this world can connect to it. I suppose that in 1972, I was looking for a new path in my life and I got really swept up with the folk music revival, which was approaching its peak. And so, you know, I just kind of committed to it. And started this non-profit organization to bring folk music concerts to Pittsburgh. Then you travelled to Ireland and Scotland… how did travelling change your approach to music? One of the connections with nature that’s different in Europe than over here, that pipers are acutely aware of, is that the humidity that’s in the air is about 80% in Scotland, and here it is 20 to 40%. This has an impact on the bag, on what bag you use—over there, it’s sheepskin, because you need a very porous bag to absorb the moisture. Plus a sheepskin bag is much more difficult to maintain keep air-tight over here, you have to play the pipes everyday. Over here, even the leather didn’t dry out as quickly. They changed the material. And there is also a cultural aspect, isn’t there? In Europe, it is connected to social life in villages and so on. You are speaking from a Breton perspective. I know that the music community is a much more close-knit thing in Brittany than it is in Scotland. It is more social. There are big circle dances, none of that exists in Scotland. So, with what is it connected? The military had such an incredible impact on it. It is extremely receded in the background. Most of the pipers are lawyers, or professionals, doctors. I guess the army and the competition system have put piping in a bit of a straight- jacket in Scotland. At least up until about twenty years ago, when pipers created groups etc. It was part of the revival? It was just an instinct they had to play with other musicians to broaden the audience. In France, it is definitely a way of preserving the regional culture instead of letting the French national culture overtake it. It happened in Scotland , I think earlier, I think in the 18th century. Yes. Like Captain Francis O’Neil in Chicago. The traditional music is maybe always threatened. Yes. And while saving it, some changes are made. For example, the scale. The pitch has changed. Because the modern ear wants a brighter sound. The beat also changes. There are all kind of facts that support the moving nature of the pitch in traditional music. Definitely. The same in orchestra. The other thing pushing the pipe scale through the roof is the snare drum. From the 50’s or 60’s onward, there was a revolution in Scottish snare-drumming.. The snare drum technology changed, and made the heads very capable of being very bright and tight, and they became to accommodate that, and became plastic, and now they’re really bright, and so the pipe-pitches kind of reasoned with the pipe and snares. Top Secret Drum Corps leads that. So people often play in groups. And the bagpipe is a very sonorous instrument. Is it possible to recognize a piper by his sound, or put in another way, how much of your personality comes out in your playing? It’s there. It’s definitely there. But when you are playing with a band, you are supposed to subsume your personality to the will of the band. Because it’s all unison. One big bagpipe is the esthetic thing they’re seeking. But when you are solo, it is different. We have to be mechanics as well as musicians. Concerning tuning t is much more complicated than the cello mechanism. We’ve got four reeds to keep in tune, and everything has to be airtight, there are nine joints. There is a big mechanical dimension to becoming a professional piper. So the more technical you are, the better player you are? In some sense, yes. You can generate a better tone. Your morphology is also part of the sound? Definitely. There is also the selection of reeds. A piper looks for a certain type of reed that will fit the pressure that he or she is comfortable with. Harder [plays], softer[plays]… that is also a part of the mechanics of learning how to do this. Then with the bagpipes, you have a continuous sound, and at the same time, a melody. Does this mean that you have two sounds in your mind? I am focusing on the two. Once one settles down, I listen more carefully to the second one. The key doesn’t really change. I can’t change the fact that I only have nine notes. Now, each of these has their function. We use different instruments for different occasions. The small one works well for funerals, for example. Oh I know, there was a “bombarde” for my grandpa’s funeral. I want the same for mine! 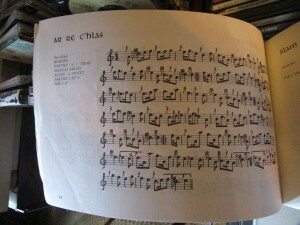 Do you also learn the Celtic language that goes along with the music? There is a little bit of “acculturation,” but traditional music also attracts people from very different cultures. Yes. It can touch everybody. Some instruments can also be very close to other instruments from very different cultures. It is true, in traditional music there are also the same kind of instruments: violin, harp, drum etc. Well. Thank you very much for this presentation of your instrument and the challenges you face with it. I will definitely try to go to your activities in Pittsburgh next year. Thanks again!